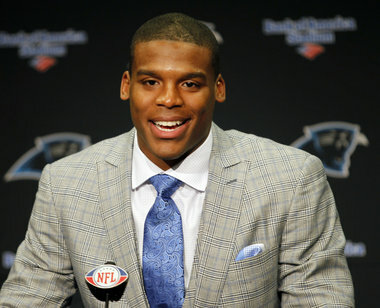 GQ Magazine had the idea to have former, accomplished quarterbacks like Dan Marino and Dan Fouts who also happen to be game analysts this season give advice to Carolina Panthers rookie quarterback Cam Newton. They also shared their “Welcome to the NFL” stories. Advance the ball for excerpts of two of my favorite responses…. I think Cam is well on his way to being the consummate professional and it sounds like he has great support from the QB fraternity. What they’ve said here and what they’ll say in the booth or in studio can be two different things, though, so I’ll be listening closely. For more great answers, read the full article at GQ.com.